expertise, and innovation in digital advertising sales. areas over the past year. advertising during the last year. initiatives in the past year. B2B digital advertising, according to the committee. marketers attended this afternoon of programming about digital audio. overview of digital audio’s brand safety advantages. development of the Defining the Data Stack project. consensus on the centerpiece of the document. buying and selling process can work. provided helpful perspective on FTC guidance. the creation of the glossary. support cross-platform (digital and broadcast) video advertising. Richard were the driving force behind these deliverables. for and awareness of programmatic technology. development of IAB certification exams. Annual Leadership Meeting, go to www.annualleadershipmeeting.com. Rakuten Marketing, Telaria, The Trade Desk, and Yahoo! Japan. with staff in San Francisco, Seattle, and London. 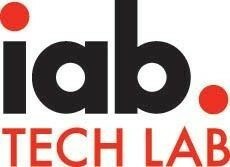 Learn more at https://www.iabtechlab.com.